The benefits of massage are so much more than just a momentary reward for aching muscles. Did you know that therapeutic massage can help increase mental focus, increase circulation throughout the body and treat chronic pain without the dependency of pain medication? Our massage services include a variety of healthy massage treatments including therapeutic massage, deep tissue massage and many others. Come experience the shift in well-being as we relax the body, calm the mind and refresh the spirit. The long, flowing strokes of this treatment are perfect for everyone who enjoys the luxury of massage. Soothe muscles, relieve tension, reduce stress, increase circulation and promote relaxation with this traditional massage. This massage is area-specific, combining deep tissue techniques with the soothing movements of Swedish massage and stretching to increase flexibility and range of motion. This is the perfect choice for our more active clientele (weekend warriors and athletes in training!). Using smooth, heated stones to generate energy creates a sense of balance and calm. A blend of essential oils and stored heat from the stones penetrate deep into the muscles, while body and mind relax totally to nurture the soul. Using pressure points on your feet corresponding to specific organs in the body’s natural regulatory system, organ function is improved while increasing relaxation and releasing stress. 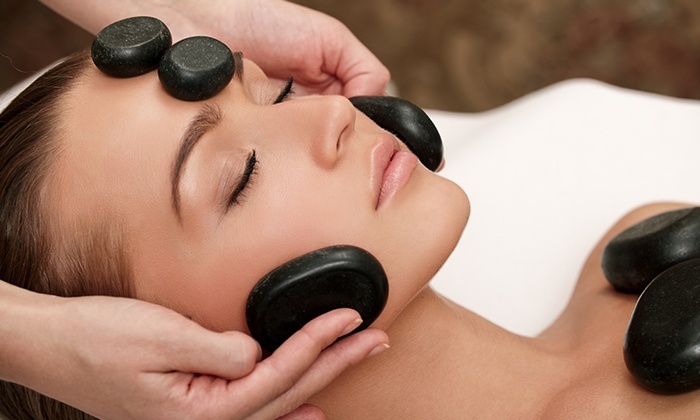 Our customized reflexology inspired treatment is the Ultimate in deep relaxation combining hot stones, warm lavender-infused towels, and massage along with reflexology points on your hands, arms, feet, neck and shoulders. Feel your stress leave your body!